Not all wireless chargers are created equal. Recent generation flagships support faster wireless charging, but cheaper and older chargers won't do the job. Even if you already have a supported charger, chances are there's another place where you'd like to have one. Whatever your current setup, you'll want to get in on this giveaway. 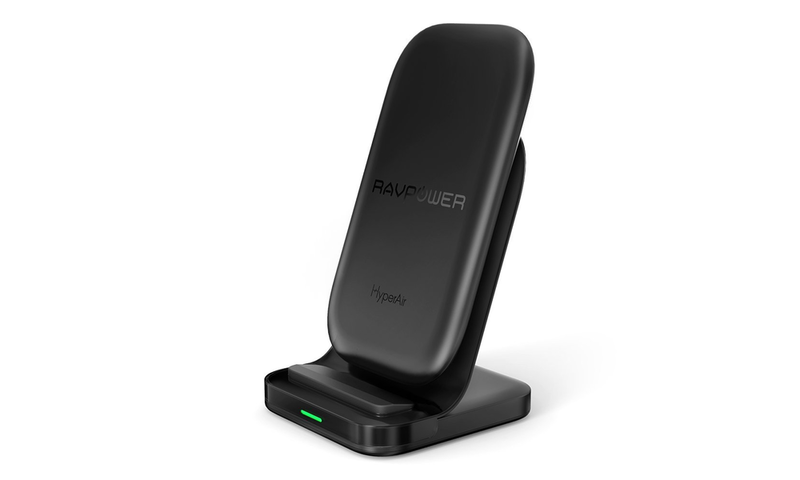 This RAVPower wireless charger has several premium features. The first has already been alluded to: It supports the latest and greatest fast charging standards. The charger outputs 7.5W for the iPhone 8/iPhone X, which is much faster than the 5W (and sometimes as low as 3.5W) chargers of just a few years ago. For the last three generations of Samsung's flagships (the S7, S8, S9, Note 5, and Note8), this RAVPower wireless charger supports 10W charging output for a full charge in just 60 minutes. Unlike most wireless chargers, this one props your phone up to make it easy to see and use while it charges. This is especially helpful if you want to play games using remotes or just watch videos without sweating the battery drain. And there's more to it than what has been outlined here. To get more details or just go ahead and buy one, go to Amazon, where the list price is $49.99 or RAVPower's website. But before you do, make sure you use the code APRPPC69 at checkout to get a 20% discount (sale price of $39.99). To enter the contest, use the widget below. There are 12 chargers available and you must have a US mailing address to win. The contest runs through Monday, April 9th at 11:59pm Pacific Time. Stop by each day to get a free daily entry.